Our artisan quality balsamic vinegar of Modena Italy is made using a 100 year old family recipe. The process begins with the careful selection of Lambrusco and Trebbiano grapes grown in the Modena region. These grapes are pressed and the resulting just called "must" is heated in copper cauldrons until the volume is reduced through evaporation by about 40%. The liquid is then decanted into wooden barrels (chestnut, oak, juniper, and cherry) and left to age and transform into vinegar. As time goes by, part of the liquid evaporates and part of the liquid is absorbed into the wood. The liquid is transferred into smaller barrels while the new "must" is added to top-off the bigger barrel. And so continues the process. This smooth, rich vinegar is wonderful on aged cheeses, cured meats, salmon, fresh fruits & desserts. 375ml If you would like to include a message for a recipient, please type it in the comments section at checkout. Pricing slips are NOT shipped with gifts. thick, high quality aged balsamic with a perfect balance of sweetness and acidity. many versatile uses. love this product and love this company! All of my positive comments are included in the above review. ic may ensue when the bottle gets low. We've been ordering this vinegar for several years. It's still the best Balsamic out there. A wonderful hostess present as well as a great finishing touch for so many foods. It took almost no time for this to change from luxury to luxurious necessity! 18 year aged traditional Balsamic Vinegar. We found this at a festival a few years back and have been ordering it ever since. I will not be without it in our house. Our favorite use for it is on subs. Wow! This is the best ever! I will never use any other! And the mailing is done efficiently and quickly>. A great experience from order to table. 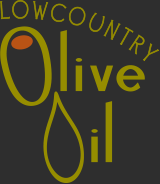 Copyright © Lowcountry Olive Oil. All Rights Reserved.